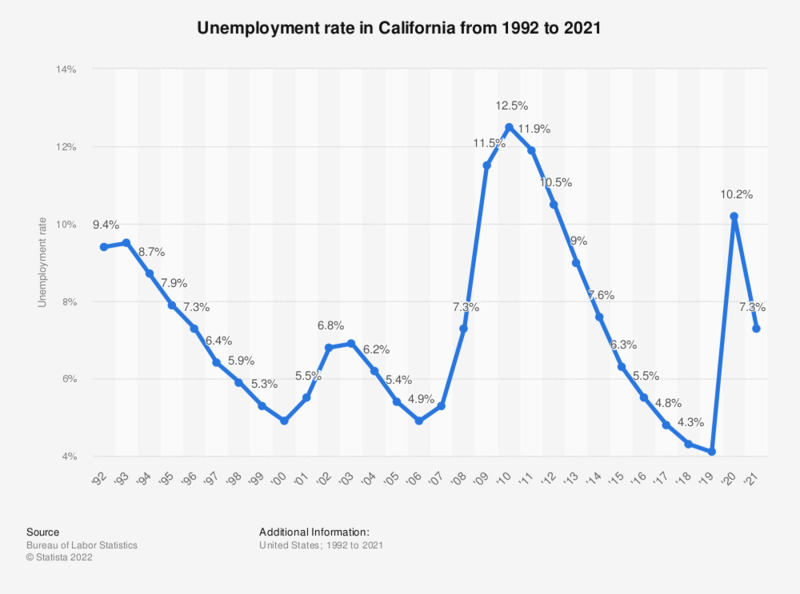 This statistic shows the unemployment rate in California from 1992 to 2018. In 2018, the unemployment rate in California was 4.2 percent. You can access the monthly unemployment rate for the United States here.